Following the initial stage of PCR amplification the generated intermediate PCR product serves as a mega-primer for incorporation into the recipient vector in a linear amplification. 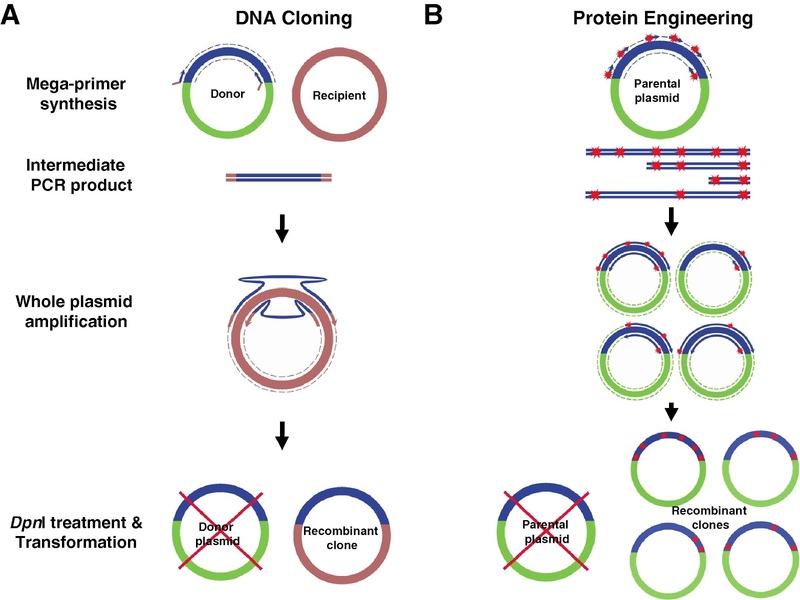 The PCR product on the other hand, cannot serve as a mega-primer for incorporation into the donor plasmid since it lacks complementarity at the 3′ ends. 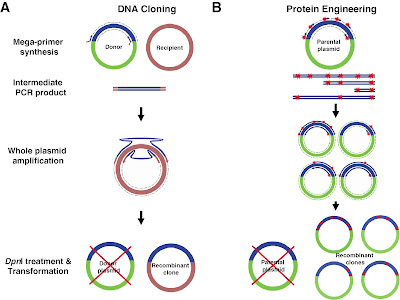 At the final stage, the donor plasmid is digested by DpnI to remove the methylated parental plasmid. The reaction mixture is then transformed into E. coli cells to obtain the newly formed recombinant plasmid. This method also has been successfully used for generating point mutations.